Learn ways to help your adult child transition from living at home to successfully enter the adult world. A certified speech-language pathologist answers five commonly asked questions of parents regarding AAC evaluations. An autism advocate and special education promoter reveals the results of a survey that shows ASD children are often wrongly excluded from clubs and activities. A former special education teacher and author describes the life skills, tasks, and activities that should be instilled prior to graduation. The nurse and life coach thoughtfully compares her need to help patients and a desire to guide her son with autism. 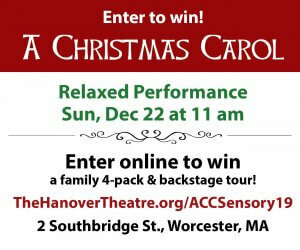 A mother offers ways to help a child with autism reach his/her potential as she explains the self-directed program she created that allowed her son to pursue his artistic dreams. The father of a young, nonverbal boy describes how his family learned to make Halloween night a positive experience. The mother describes how her autistic son’s gift for music changed his life forever; the article includes the young man’s viewpoint. Learn simple ways you can help a child with autism participate in activities to ensure a lifetime of good health. A mother uses her own experience with managing anger to help her young son with autism in need of a way to handle his emotions. The mother of a young boy with autism reiterates the importance of finding new solutions when a child experiences sensory overload. A devoted mother describes what she hopes schools will someday understand about all children with autism.. Learn about Schedule A which allows people with documented disabilities in the US to easily apply for federal jobs. Includes helpful interviewing tips. The mother of a young boy with autism reflects upon her own son’s journey as she describes the documentary of a well-known young man with autism named Owen. A nonverbal typer with autism shares an excerpt from his remarkable award-winning piece, My World as a Poem. The mother of two sons on the autism spectrum lovingly shares how she feels as she imagines their futures. An educational therapist specializing in autism shares information parents interested in homeschooling need to know before making any schooling decisions. 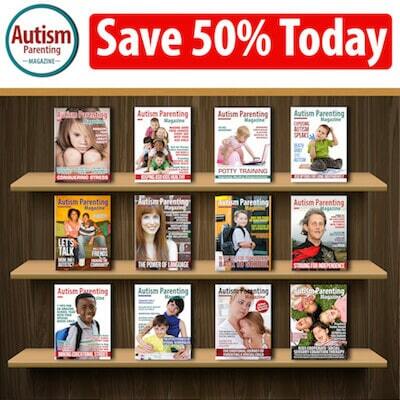 Learn expert advice on how parents can help teenagers with autism prosper in the real world. A young boy writes of his perspective in a letter to anyone who loves a person on the spectrum or wants a better understanding. An author and motivational speaker shares his special interview with the country manager in charge of developing CommunicoTool, an app to help nonverbal individuals communicate by using pictures and sounds. In this new book, Shannon Thiry provides the support families with picky eaters need as they work to feed their children. This uplifting story from Janey H. Bailey focuses on the family of a young boy with autism as he struggles with many basic life skills, but musically is a prodigy. This heartfelt story by Janet Walmsley relays the importance of courage, perseverance, and the strength of a loving mother-daughter relationship. a global, nonprofit organization that brings awareness and inclusion through Fighting For Autism, Fitness For Autism, and Racing For Autism. Learn about a new document which can help polling stations become more accessible for people in the UK with learning disabilities and autism. Find out about a young woman with autism who landed her dream job after learning vital job skills through a nonprofit that fosters independence. Expert advice on why families need to create a vision, and build a framework in which they can support their children’s needs regardless of changes at a macro-level. Learn how to make nutritious chicken bone broth to be used in a variety of recipes including a special Thai soup. A friend of mine shared something very personal with me recently. Her daughter, who was diagnosed with autism spectrum disorder (ASD) as a toddler, had just graduated from high school with much fanfare. There was so much to celebrate as the young woman who was once entirely overwhelmed by a roomful of people had walked across a stage, proudly donning her cap and gown. But then her mom confided in me, “This growing up thing is tough.” While her daughter had reached so many milestones through various autism programs and therapies throughout her life, her mom was now troubled by the future. A highly proactive family, they quickly enrolled their daughter in job experience training, culinary arts classes, and a program to begin career exploration. 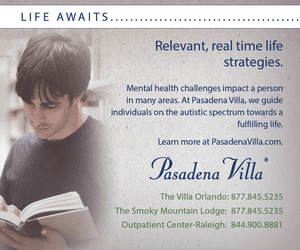 Preparing for adulthood is hard, and preparing for adulthood with autism can be overwhelming. Knowing this sudden shift to adulthood affects millions of young people with autism around the world, we reached out to several therapists, teachers, and parents for their expert advice on preparing for that fundamental next step. This is an issue families and educators won’t want to miss. We were especially thrilled to connect with Ruth Cruz, as she faced a similar challenge with her 25-year-old son with autism just a few years ago. Please take a look at her piece, How to Plan and Define the Years To Come with Autism, as Ruth explains the self-directed program she created that allowed her son to pursue his artistic dreams. Her drive to help her child acquire the right tools to succeed is inspirational. 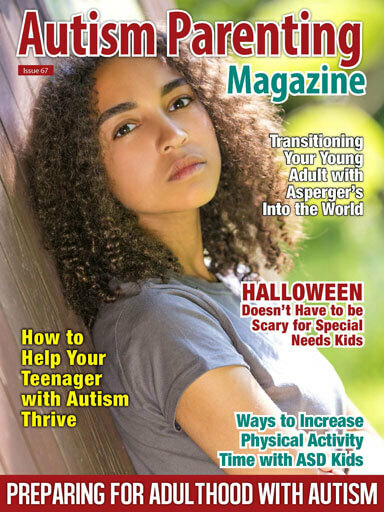 We also asked regular Autism Parenting Magazine columnist Sarah Kupferschmidt, MA, BCBA, to share her guidance on how to help young people with autism reach their potential. Please read Expert Advice on How to Help Your Teenager with Autism Thrive as the behavior analyst shares strategies for families to use when preparing a child with autism for life after high school. Be sure to also take a look at Nicole Bovell’s piece called Important Life Skills You Need to Know for Adults with Autism, as the former special education teacher describes the life skills, tasks, and activities she believes should be instilled prior to graduation. From learning about housing and time management to relationships and personal care, preparing for the future with autism is key. For many families, the thought of launching a child out into the world can be overwhelming. If you need advice on how to overcome your own fears as a parent and learn ways to instill vital life skills for your child, take a look at Safia Fatima Mohiuddin’s article called How to Transition Your Young Adult with Asperger’s Into the World. Her guidance can help you and your child take those next steps. For those readers who are in search of employment, Philip Feldwisch has provided a valuable piece called Great Job Opportunities for People With Documented Disabilities that offers information on ways Schedule A, a hiring authority, allows people in the US with a documented disability to easily apply for federal jobs. Philip’s article includes excellent tips to help walk an applicant through the interview process. 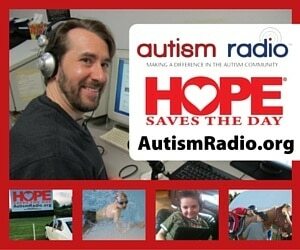 As I have said over the years, our team is honored to serve the autism community. It is rewarding to be able to respond to our readers’ needs and questions in our magazine articles, online blog, and autism-specific guides. And while it isn’t always highlighted, many of our contributors are people on the spectrum, or the parent of a child with autism, sharing their invaluable insights. One question parents ask us this time of year is how to handle Halloween traditions with a child on the spectrum. While some kids can’t wait to don scary costumes and head door-to-door to collect candy, it can be a tough night for others. From itchy costumes and makeup to having to ask for treats at someone’s door, the spooky night can be overwhelming. James Guttman, the father of a young, nonverbal boy, spent years trying to make Halloween a positive experience for his entire family. Please take a look at his piece, Halloween Doesn’t Have to be Scary for Special Needs Kids, as he shares how changing his own perception of what makes his son happy on Halloween was the key to success for his family. 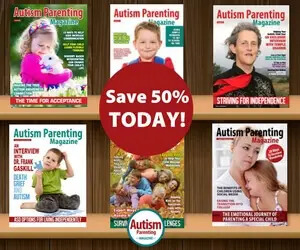 It’s exciting to see our autism community grow here at Autism Parenting Magazine and we’re thrilled to be able to reach so many families. This month, we are happy to introduce another new columnist to our team, Rob Bernstein, an educational therapist specializing in autism. He will be tackling some of the questions we receive directly from our readers. Be sure to look at his first piece, Do You Need to Be a Special Ed Teacher to Homeschool a Child with ASD? as he shares information parents interested in homeschooling need to know before making any academic decisions. Be sure to watch his video responses included with his advice. Wishing you and your family the guidance and support you need as you prepare for the future with autism.